Ritani is a fine jewelry company specializing in engagement rings and bridal jewelry. Based in White Plains, New York, the company has e-commerce operations in Seattle, Washington. Initially, a wholesale jewelry brand, Ritani launched its transactional website in October 2012. Customers are able to design a custom engagement ring online, then have the ring shipped to a nearby jewelry store to preview in person. The combination of online and in-person shopping puts Ritani in competition with online jewelry retailers such as Blue Nile Inc., James Allen, and Ringsberry, as well as traditional jewelers like Tiffany & Co. In January 2014, Ritani was selected for the Forbes list of America’s Most Promising Companies for their unique “clicks and bricks” model that blends online shopping and brick-and-mortar stores. Strong technological support followed by scrum methodology has immensely helped this business to grow. In June 2014, Ritani announced that the former Blue Nile CEO Diane Irvine had joined the company’s board of directors. Ritani’s network of independent jewelry store partners has over 180 locations across the US and Canada. The focus of “clicks and bricks” is to educate and guide the customer as they design their own ring, and then establish trust and confidence with a free in-store preview. Ritani has an inventory of over 60,000 diamonds ranging in price from $184 to $1.7 million. Mr. Chandan, the then head of technology of Ritani contacted Nascenia in the mid of 2017. Some of the full-time developers of Ritani left the company. So, there was a sudden vacancy in their core development team. That’s where was the entry of Nascenia. Initially, the plan was to engage the developers of Nascenia for version upgrading. For that purpose, two Rails developers of Nascenia worked with the core team of Ritani. Over the time, they were provided with a React expert, a Front-end designer, and a Software Quality Assurance engineer. Nascenia successfully filled in the vacuum until Ritani could manage to hire developer on-shore again. In the meantime, the developer team of Nascenia worked simultaneously with Ritani’s core team. The timezone difference between these two groups was a major challenge. 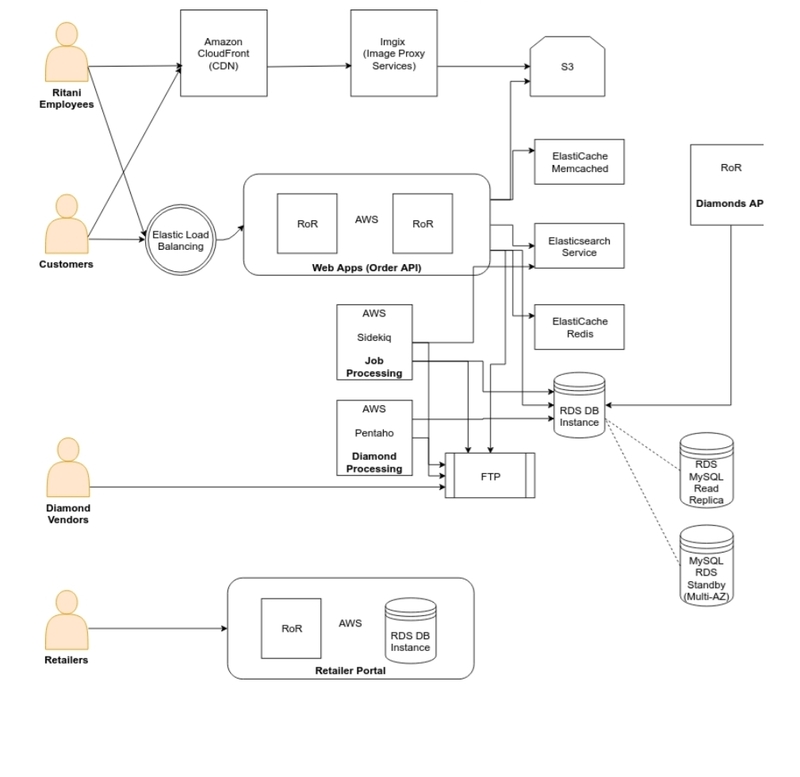 Scrum method was followed to manage this project and overcome the challenges. 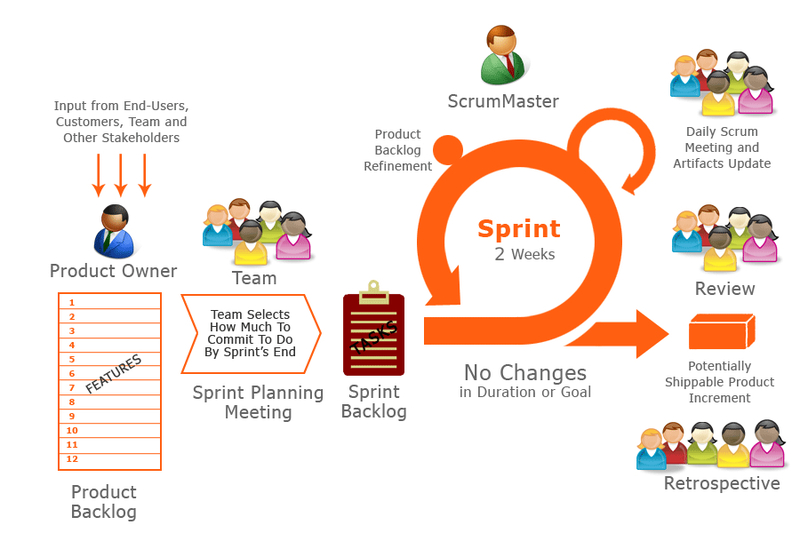 Scrum is an agile way to manage projects. Ritani has been developed using Spree, which is a complete open source e-commerce solution built with Ruby on Rails. Ritani’s initial goal with Nascenia was to upgrade the rails version of their e-commerce platform from 3.2 to 4.0 and then to 5.0. Nascenia developers worked relentlessly in reaching the initial goal of updating the rails version to 4.0. However, this initiative got scrapped off since it was a time-consuming endeavor and they had to analyze the existing code prior to any further development. Sprint Planning, Backlog Grooming, and Requirement Analysis. Daily Scrum to reflect on the progress of each developer and ability to meet sprint commitment. Implementing and reskinning the User Interface and User Experience as per NY Team’s design and functionality requirement. Regular maintenance, production support, and bug fixing. Coordinating with Ritani’s Analytics Team and Marketing Team to implement new requirements as well as improve existing ones for the betterment of insights related to analytics tools such as Google Tag Manager, Google Analytics, Facebook Pixel, DoubleClick etc. Carrying out pre/post-QA to ensure bugless delivery. Reviewing pull requests of each developer, where other developers suggested ways to improve the incoming code even more before merging it. Creating Pull Requests as soon as a feature is in development. This helped to identify any conflicts early in the development process and also ensure that the code being pushed are being passed by continuous integration tools such as CircleCI. Keeping each development branch up-to-date with the base branch everyday to avoid any merge conflicts at the end of the sprint. Declaring a code freeze 2 days before the end of the sprint to avoid any last minute code being pushed and making a mess in production server. Above picture shows the scrum methodology that was followed for Ritani. The project started as an outsourcing activity for Nascenia. But truly speaking, the team of Nascenia and Ritani worked collaboratively round the clock to make things happen. The strong collaboration was the key to success. Rails, Spree, Capybara, RSpec, Patron, Nginx, Redis, Unicorn, MySQL, Jquery are some of the technologies used for Ritani. The following figure shows the Technological Infrastructure. Ritani has achieved a very lucrative position as an under 20 years company. Strong technological support has played a vital role in this issue. Nascenia is proud to be a companion in the path of this journey.